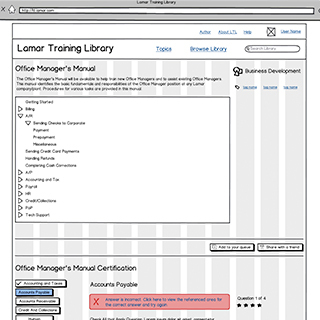 For an organization as successful and organized as Lamar Advertising, training was much more difficult than it should have been. Content was spread across numerous storage systems and formats with no categorization or search system. 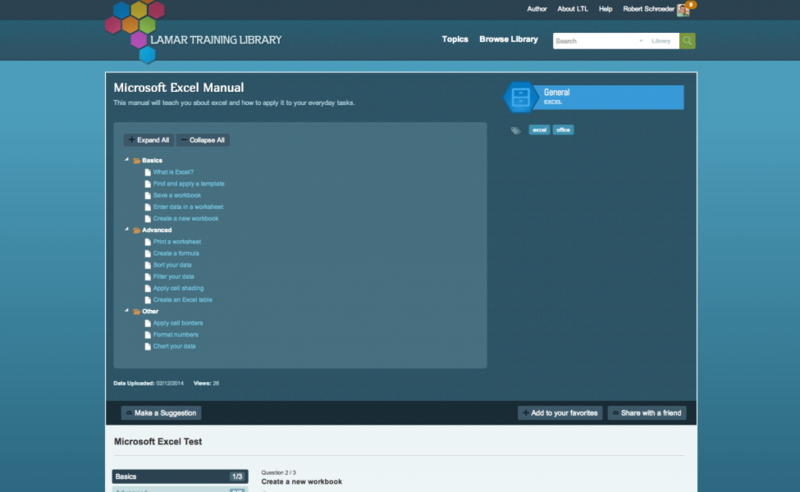 For trainers and trainees alike, the process for getting up to speed on new material was frustrating and time consuming due to the difficulty finding and accessing the correct resources. 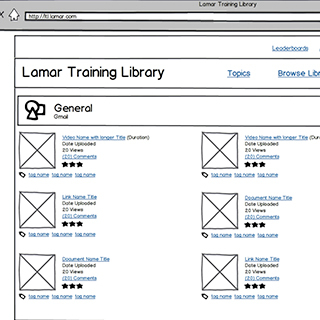 Lamar needed a creative and engaging platform to host all the training materials while allowing simple, streamlined access. 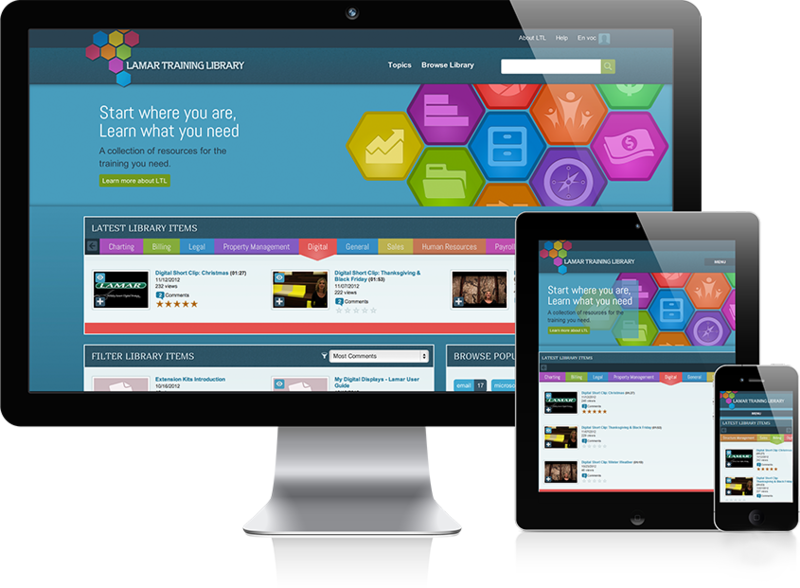 The library takes volumes of information that were once scattered across disparate departmental systems and organizes it all into one central hub. 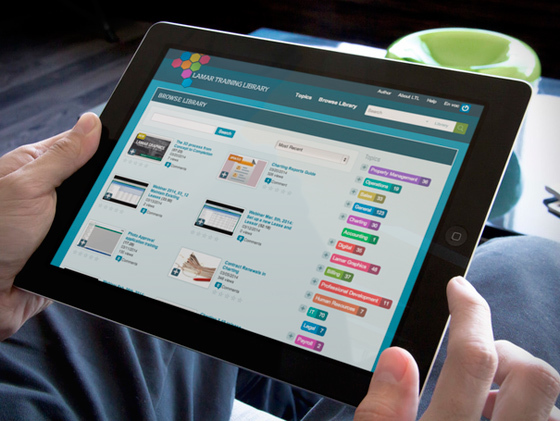 Envoc greatly enhanced the user experience by adding a social media aspect to the application. Since most everyone is familiar with social networks, this helped provide an element of familiarity to the new system. The solution also included content sharing, inboxes, commenting, ratings, and the ability to save favorites. The result is a more efficient and collaborative training environment. 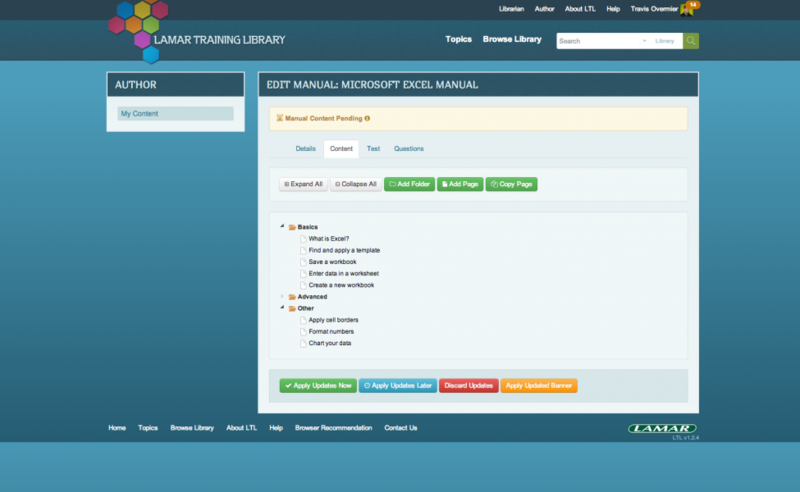 Managers can easily assign training bundles to their employees. 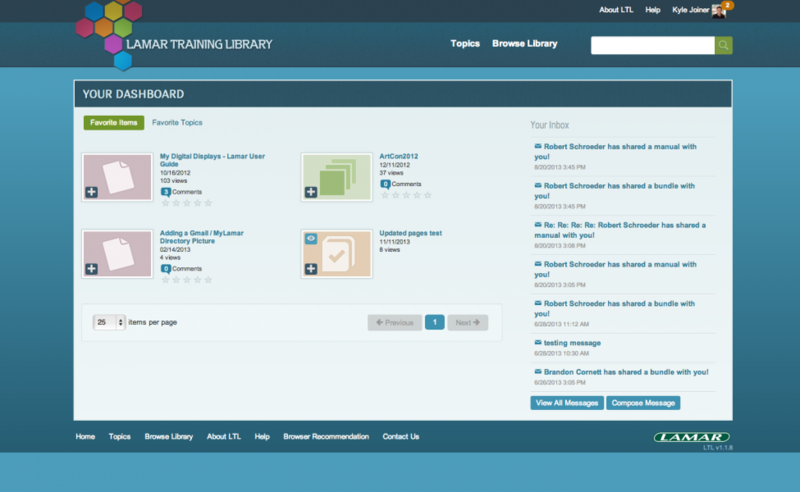 Users can help one another by suggesting training and by applying ratings and comments to training that they've viewed, adding valuable side notes and additional tips to the training content available. Envoc truly listened to our ideas and needs and delivered a quality product we're proud to have as a resource. Their timely and responsive service helped the project run smoothly from beginning to launch of the site and beyond. One positive experience generally leads to another, so whenever it comes time to decide who will take on new projects for us, Envoc continues to be an obvious choice.